England will begin their defence of the Senior Women’s Home International title on Tuesday at Newport Golf Club, Wales. The six players who won the silver medal at last month’s European team championship are all in the side, together with Surrey’s Felicity Christine. The full team, captained by Debbie Richards of Surrey, is: Caroline Berry of Cheshire, Julie Brown of Staffordshire, Felicity Christine of Surrey, Fiona Edmond of Suffolk, Jackie Foster of Hertfordshire, Aileen Greenfield of Sussex and Lulu Housman of Middlesex. England have dominated the Senior Women’s Home Internationals since it started in 2003, winning the Sue Johnson Trophy 10 times, with consecutive wins in the last three years. The round robin competition against Scotland, Ireland and Wales continues until Thursday, 5 October. Caroline Berry (Bromborough) was fifth in the British senior championship, is a past English senior champion and reached the semi-finals of this year’s event, having been top qualifier. Julie Brown (Trentham) won the 2015 British senior championship, was runner-up last year and fourth this season. She won the English senior title in 2014 and has represented England every year since then. Felicity Christine (Woking) is a past winner of the British senior title and had a top 20 finish last month. She was a quarter finalist in the English senior championship and fifth in the English senior stroke play. (Pictured copyright Leaderbord Photography). Fiona Edmond (Ipswich) was an England and GB&I international before a break of 25 years. She won the English senior title at her first attempt in May. Jackie Foster (Bishop’s Stortford) has won back-to-back English senior stroke play titles and had a top 20 finish in the British seniors. Aileen Greenfield (Pyecombe) is playing only her second full season of senior golf and has been runner-up three times in English championships. 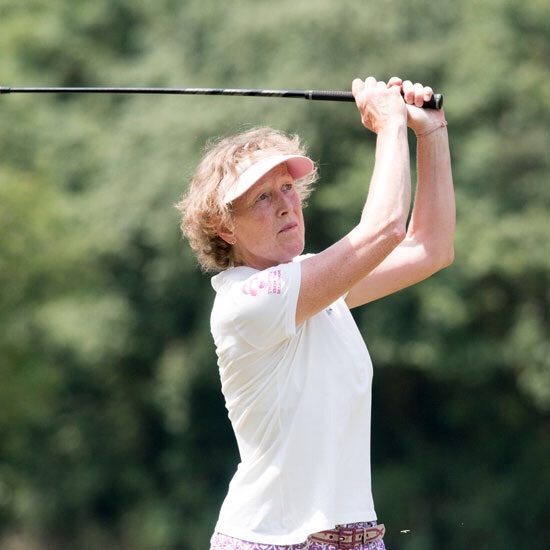 Lulu Housman (Wyke Green) won the English senior stroke play title in 2015. She was a semi-finalist in this year’s senior amateur and tied 11th in the stroke play.